October 22, 2010 — Members of EAA Chapter 288, based in Spruce Creek Fly-In airpark near Daytona, Florida, rolled out the asphalt carpet for a visit from EAA Founder Paul Poberezny to their October membership meeting. 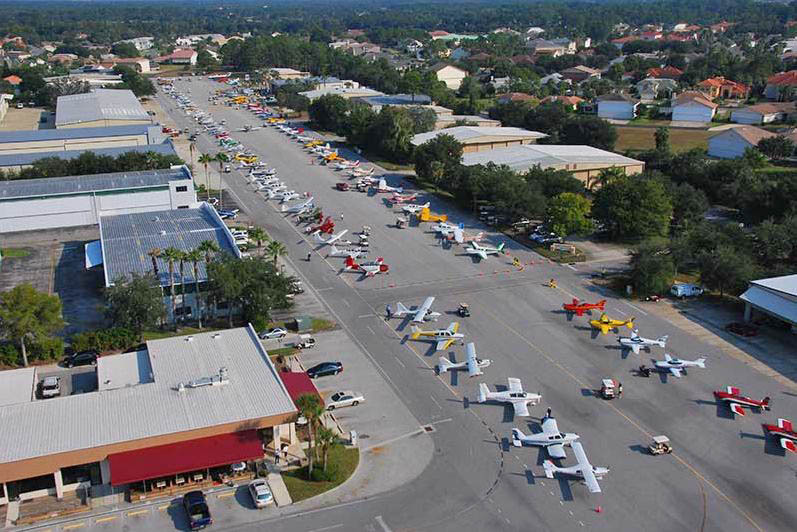 It wasn’t your typical meeting as EAA 288 staged more than 130 aircraft along Cessna Boulevard (the main drag/taxiway at Spruce Creek) for a grand review by Paul. Selected aircraft and projects were shown to the EAA founder, along with a review of three P-51s and WWII vehicles. Plus, there was a flyover by several formations of homebuilt aircraft in honor of Paul’s visit. It was a full day for Paul as he spent the day reviewing members’ projects in progress, riding along in the lead of a four-ship photo flight of SX-300s, and touring members’ hangars. Later in the day was an eight-stop military-style inspection tour of members’ aircraft. “It was fabulous. Though I have been honored throughout my life, such as my induction into the National Aviation Hall of Fame, this [EAA 288 Chapter meeting] was one of the most heartwarming family gatherings I have been a part of in the history of EAA,” Paul Poberezny said. The Spruce Creek Gaggle Flight, a formation group based at the airpark, is often seen in the area flying over parades and military funerals. 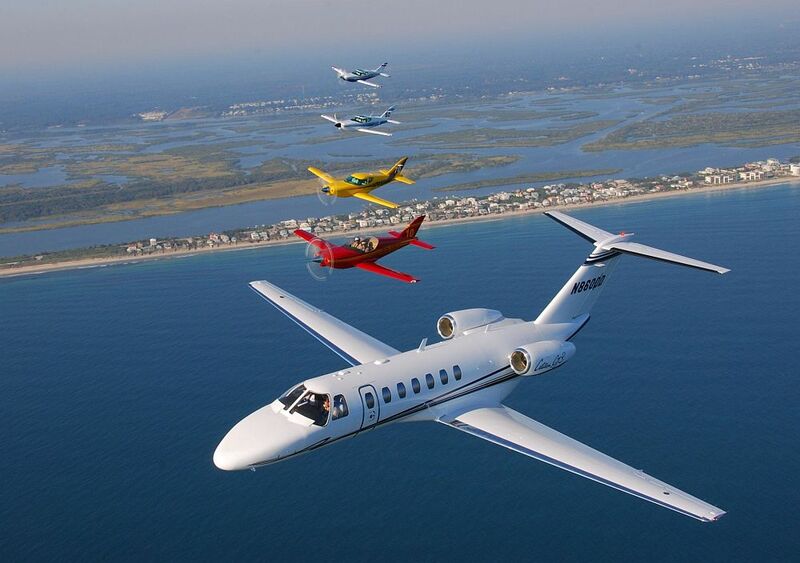 The group made several formation passes, including a ship of four SX-300s and eight RV-8s, as a salute to Paul for all he has done for aviation. “It’s just one of the big honors that we have,” Bob Terry, a retired airline pilot and EAA member, told The Daytona Beach News-Journal. After the outdoor festivities, in true EAA spirit and protocol, EAA 288’s monthly meeting business was conducted as required in concert with a meet-and-greet with Paul and, of course, food! The conversations lasted long into the evening. EAA 288 member and EAA board member Fred Telling said the visit by Paul was a special treat for the chapter. “[The event] also shows what all chapters can do and demonstrates the diversity of talents and aircraft and individuals that participate,” Telling said. While Paul was visiting Spruce Creek he was able to meet up with Ed Dunn, EAA 643, who has known Paul since they were teenagers. Look for more photos of the event soon. 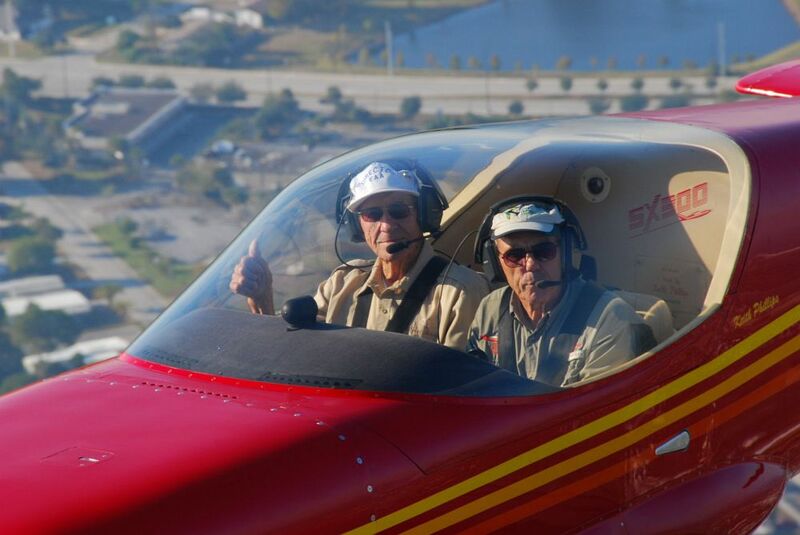 Paul flew co-pilot with Chapter 288 President Keith Philipsand lead pilot for the SX300 "Red Flight". Joining Poberezny and Phillips was Steve Plattin in position 2, in 3 position JJ Cianci, in 4 position Jim Vitale. The CJIII is being flown by owner/pilot Dennis Demers with co-pilot Medford Bragg. EAA's Boeing B-17G Aluminum Overcast has made many memorable flights throughout the country, but one would be hard-pressed to come up with one more special than what occurred on Monday afternoon, April 14, in Oshkosh. The 40th Sun 'n Fun International Fly-in and Expo that wrapped up in Lakeland, Florida, on April 6 saw one of the largest turnouts in years thanks to perfect weather, improved operations, 3,000 dedicated volunteers, and popular attractions including the Navy's Blue Angels Naval flight demonstration team that performed Friday, Saturday, and Sunday. EAA always encourages its members to take others flying, but on Saturday, May 17, there's an even better reason to do so: The fifth annual International Learn to Fly Day is an opportunity to help someone take that first step to discover the fun, freedom, and accomplishment of becoming a pilot. EAA is actively reviewing the draft of the FAA's amateur-built and ultralight flight testing handbook, known as Advisory Circular 90-89. The handbook, developed with substantial EAA input, was issued in 1995. This will be the first revision.